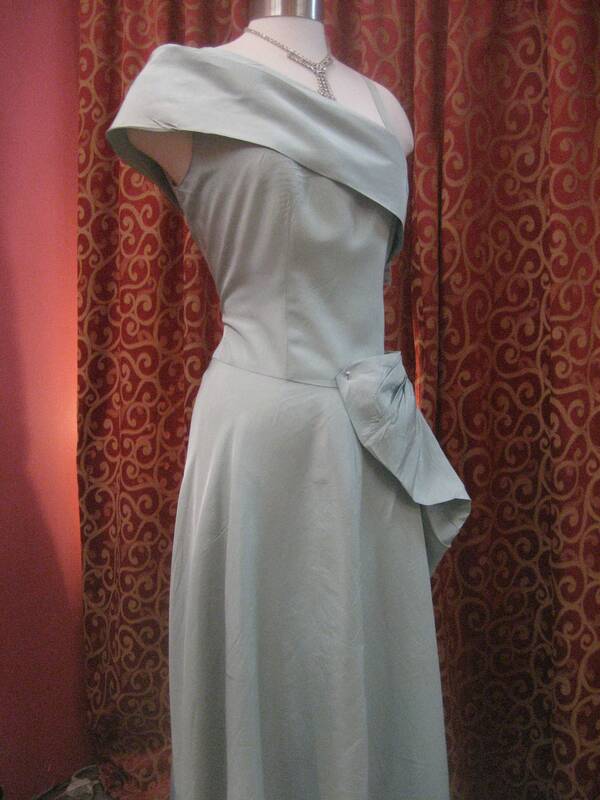 1950's, 38" bust, robin's egg blue gown with one shoulder strap and large puff bow on left hip. 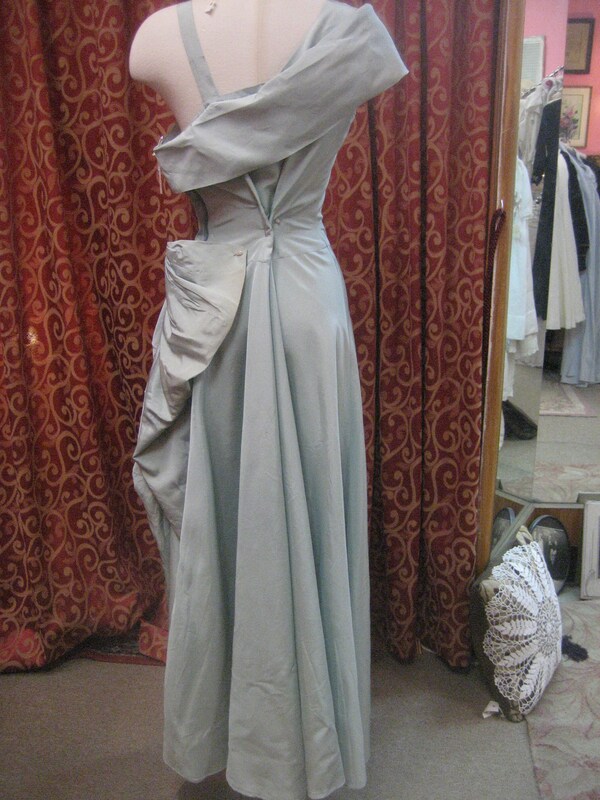 Gown is full length with a wide skirt and tight bodice. 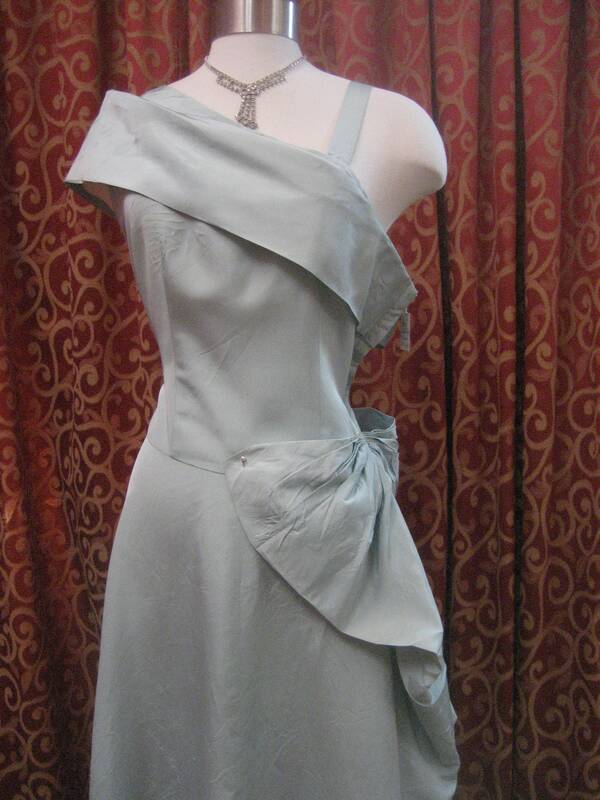 Long zipper fastens dress on left side from under arm to upper hip.